Shoaib Malik’s past has come to haunt him and on right time! When asked about Ayesha’s reaction to Shoaib tying the knot, Farisa said, "My daughter and husband are not at home and will return later today. There is too much happening for me to comprehend." 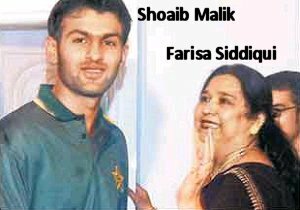 Shoaib Malik allegedly got married to Ayesha Siddiqui through a telephone ‘nikah’ on June 3, 2002. But in a statement in Karachi on January 21, 2008 Shoaib claimed that no nikah took place. The cricketer said his marriage plans with the Hyderabadi girl ended because both families could not reach an understanding on certain issues. "Yes I had a long relationship with her and we planned to get married. But no nikah ever took place and in the end our families could not reach an understanding on various things," Malik had said. Ayesha’s father M A Siddiqui had then said that the family would move the court if his daughter did not get divorce. Pakistani players were even feted to a grand reception by the Siddiqui family in Hyderabad when the team toured India in 2005. The family had then pushed the player to give a formal divorce in February 2008, after Shoaib claimed that there was no ‘nikah’ between Ayesha and him. According to Ayesha’s mother, she attended Sania’s engagement last July and was invited by Sohrab’s family, "I’m not associated with the Mirzas (Sania’s family) in anyway." Farisa was not just upset, but also angry about the Sania-Shoaib alliance. "I can’t believe this girl (Sania). She has seen what happened to my daughter, it was all over the news. Despite this she got involved with this man (Shoaib). It’s sad that she’s getting married to him; it’s strange," she said, adding that she would have a word with Sohrab’s family to find out why the engagement with Sania was called off. Ayesha is another ” Ruchika ” in diffrent version. Affected & Ruined by Brand name & Position holder. 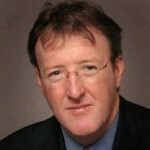 Technical error of Registration does not effect Relationship. Proofs shown by Ayesha’s Family in Media clearly shows Shoaib’s stand who constantly Ignores & Rejects like ” INDIAN DOSSIERS ” to ” PAK GOVT “. Ayesha is Ignored, Abused, Cheated, Dumped and Emotionally Raped by Shoaib and must be arrested for his Crime. People of India must forget Caste, Creed, Religion and support Ayesha for Justice.